Meet Club Members and see the talents they are sharing. Personal Info: boxers. likes long walks on the beach ..
Juggling Bio : I first learned to juggle 3 balls and steal back and forth with my dad who is a fine juggler despite being unable to supinate his left hand thus having to make a "cup" with his fingers to get change at the drive-thru. I was satisfied with that sweet 3-ball cascade for about 18 years until 2006 when I was invited to do an art project with a circus school (Circo Ciudad) in Bogota, Colombia. Hanging around the circus re-kindled my interest and when I came back to Virginia I dug out the old clubs and rings that my folks had given me as a kid. Almost 20 years later they were pristine condition but, happily, not for long. 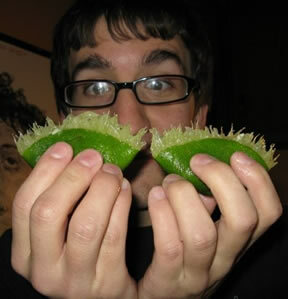 Soon after, I found the Air Raid Jugglers via this precise website and once I had bought everyone's margaritas for 6 months, got a giant Air Raid tattoo on my chest, and pledged all of my present and future earnings to the club, I was able to became a regular member. I've been attending ever since and now juggle well beyond my original "if-only-I-could-do-this-one-trick-I'll-be-satisfied" aspirations. Now if I could only do 5 clubs ..
First 3-ball Cascade: 13 years old, watched (I think) the Flying K's teach kids on Sesame Street while I babysat by little sister. Juggling Bio : Learned to juggle at 13, got better in college (clubs, 4 balls, passing), got much better in grad school (5 balls, fire, 7-8 club passing). Then took nearly a 20 year hiatus on getting better. Now trying to see if I can get to 7 balls. Personal info: Pretty active lifestyle! Like to work, study, have fun, and most importantly: JUGGLE DUH?! From puerto rico and have traveled the world. Excited to meet new jugglers and really enjoy the air raid juggling club. Learning is one of my buffs, and I do it well. Always looking for a new friend. First 3 ball Cascade: 16 years old. 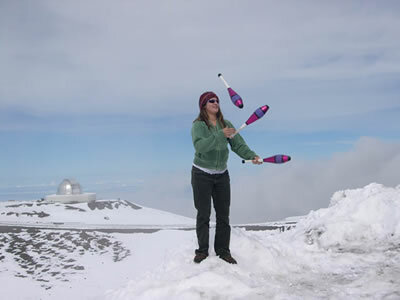 Juggling bio: Learned to juggle at the age of 16, started with balls, then to clubs. Took me 3 weeks of practicing clubs till 4 in the morning in order to successfully juggle them consistently. I then shortly came in contact with devil sticks and tried them out. A year later I was introduced to contact juggling. I am mainly a contact juggler, but can toss juggle and pass clubs. Prefer to learn how to balance, but take time to learn other things because they too are fun. Just recently got hooked on the soccer ball and bounce juggling. Willing to see how that will go. Goals are to be like other jugglers I know. Favorite Skills: object manipulation, balance, bounce, rolling, isolations. Personal Info: Juggling keeps me sane. 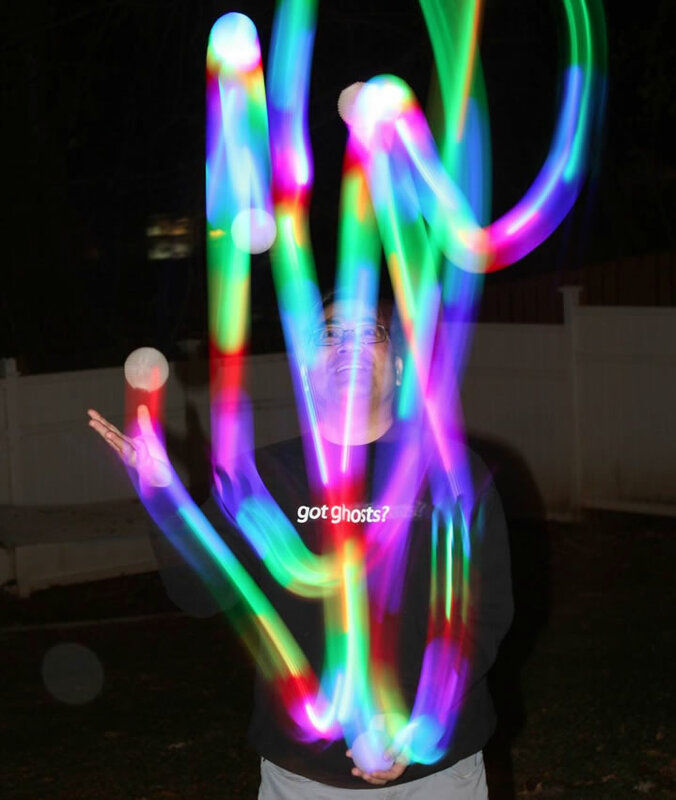 Juggling Bio : I found juggling at age 21 and it changed my life. Just keep throwing! Other skills: Make you laugh so hard you forget what your doing and drop, Master Margarita Stealer, Disappearing. Personal Info: I am 16 years old, homeschooled, and in eleventh grade. 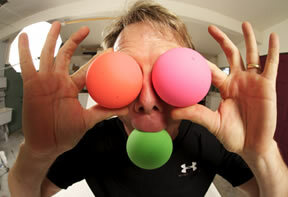 Juggling Bio: When I first learned to juggle in 2002, I learned 3 and 4 balls but was not interested enough to go any farther with it. Then in 2006, my brother was given a DVD of the 2005 International Jugglers Association Festival. All the acts in the stage competitions were so amazing, they inspired me to start juggling again. That time, I kept at it and am now juggling every minute of my spare time. Since watching the DVD, I have made the finals of the IJA Juniors Championships twice, in 2007 and 2009, and have broken three world records with my brother Andrew, the 14, 15, and 16 ball two person passing records. Most Objects Ever Juggled: 9 Balls, 7 Rings, 6 Clubs, 9 Ball Bouncing, 11 Ring Passing, 14 Ball Passing, and 10 Club Passing. Favorite Skills: Technical Ball Juggling. Other Skills: Swimming and anything my Mom makes me get good at in school. Juggling Bio: As a joke, my parents bought me 3 juggling beanbags for Christmas 2007 so that I could have a "toy" to play with. I taught myself the 3-ball cascade and thought I knew how to juggle, so I tucked the balls away in a closet. 4 months later, I randomly saw a juggling video on YouTube and saw my first ever juggling "tricks." From that point, that was it, game over, I had my new hobby. Many props and several hundred dollars later, I am HOOKED! Favorite skills - I go through different phases with different props, so I never get bored. Pretty much anything at one point or another has been a "favorite." Other skills: Golf (not good skills though), tennis, and used to play basketball but have gotten out of shape, and juggling does not require running, so it's perfect! Other skills: play/teach banjo/mandolin. 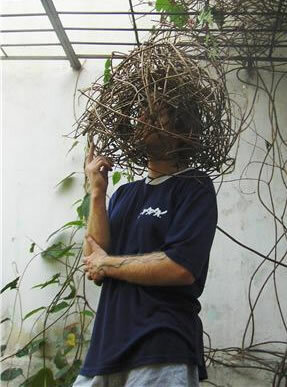 headstand. PHD (post hole digging). Very good on the phone - I give good phone. First 3-ball Cascade: Seventh grade (1998) in my living room after about a week trying. 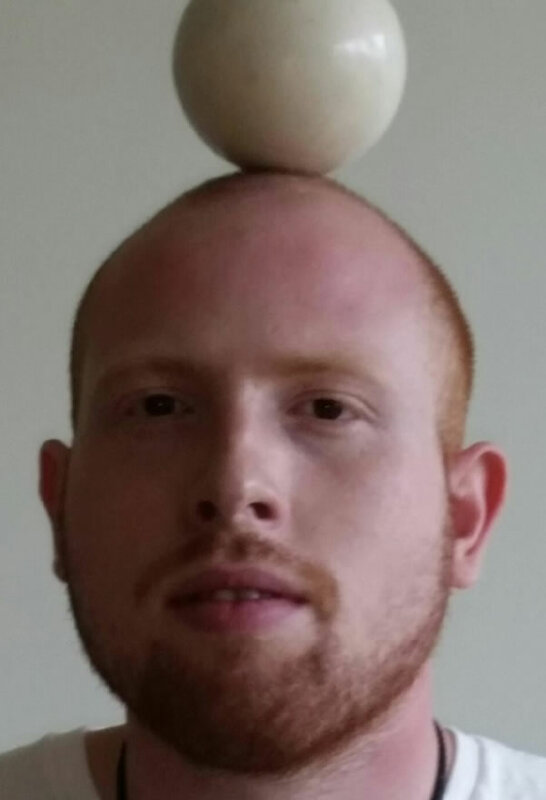 Juggling Bio: Got good enough to consistently qualify and lose in the Teams Championships at the International Jugglers' Association annual festival. Finally got third in 2005 as "Entropy," with longtime partner Will Oltman. Also earned the Sean McKinney award. 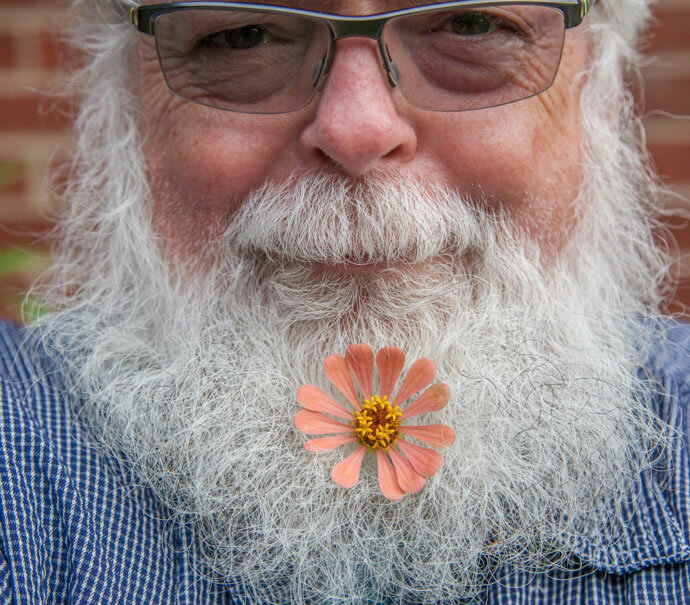 I appear in various juggling DVDs and have been a regular club member at groups in the Chicago-area, Detroit, Minneapolis, and now Charlottesville. Taught a for-credit juggling course at my college. Other skills: Kendama, tennis can manipulation, etc. Personal Info: I was born in Richmond, Virginia in 1991 and have lived there my whole life. I am currently finishing my high school education through home schooling. 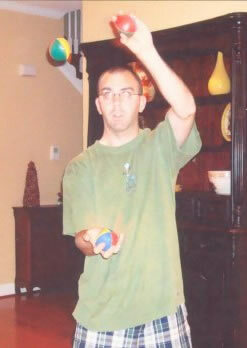 Juggling has been a passion and obsession since early 2006. Juggling Bio: I first decided to start juggling after seeing an internet video and saying “Hey, I can do that.” So I tried, learned 3 balls, and immediately became addicted to juggling. 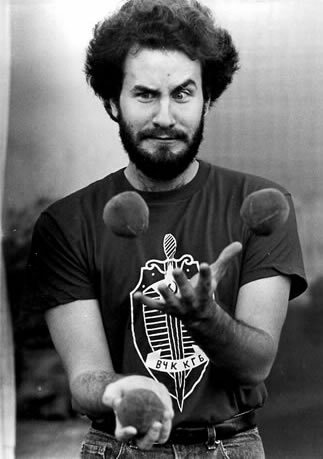 I loved juggling because I could see results. There was something new to learn or get better at everyday. 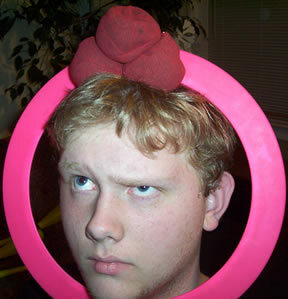 I went to my first Air Raid juggling club in early February, 2007, and quickly became one of the regulars. My first convention was the Congress of Jugglers festival in Maryland. That convention was where I had my first performance. My second convention was the IJA festival in Winston-Salem, North Carolina. I had the chance to perform and compete in multiple events. I love to compete and challenge my own abilities. Favorite Skills: Technical and creative solo toss juggling with balls, rings, and clubs; 1 and 2 club manipulation, balancing while juggling. Other skills: Contact juggling, bounce juggling, diablo, cigar boxes, ball spinning. 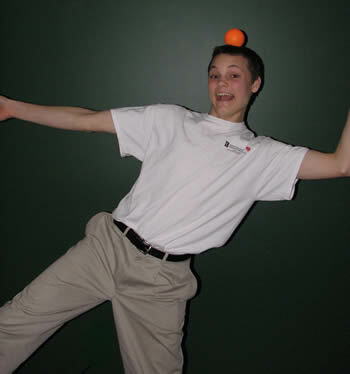 Juggling Bio: Was a member of the Syracuse University Juggling Club, The Jugglers of Bowie and the U.S. Department of Juggling. Taught Juggling and street performed at the Maryland Renaisance Festival from 1992 through 1995. Also performed at the Norfolk Mini Fest in 1994 and 1995. Spent 2 years learning stage combat and swordplay with the Washington Shakespeare Company. Currently writes the InPassing column for the magazine Juggle. This is a how-to column on club passing tricks and patterns. 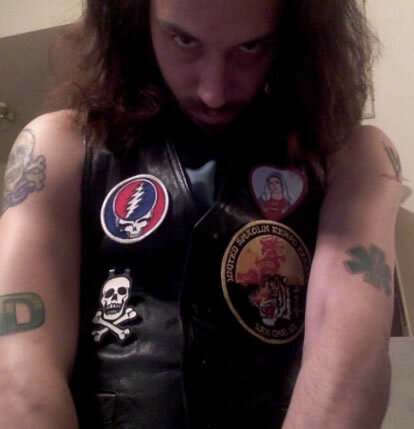 Name: John Siegfried Geyerhahn "Ziggy"
Favorite Skills: Knife and Fire Passing, Knife and Fire Juggling on a Skateboard, Rolling Globe, Stilts, and Trapeze. Statue of Liberty (Landing a kickflip while holding lit torches) 3 Baseball Bat Juggling Fantasy: Ambulance Backs up to WWE Arena Flashing. Sirens blare. Doors burst open. Juggling fire while dropping into a WWE arena on a skateboard blowing my torches out and sliding through the ropes of the ring after stashing fire equipment and skateboard under the ring. Other Skills: Dancing, Singing, Theater, Acting, Writing, 85 MPH Fastball, Catcher, Sports. LED props. First 3-ball Cascade: Seventh grade, juggling class taught by Hemlock the clown!!! Most objects ever Juggled: 5 clubs, 7 balls, 9 rings. Favorite Skills: What ever I am currently learning.